We have the perfect suggestion for every guitar beginner. It's 48" full sized and is suitable for adults. 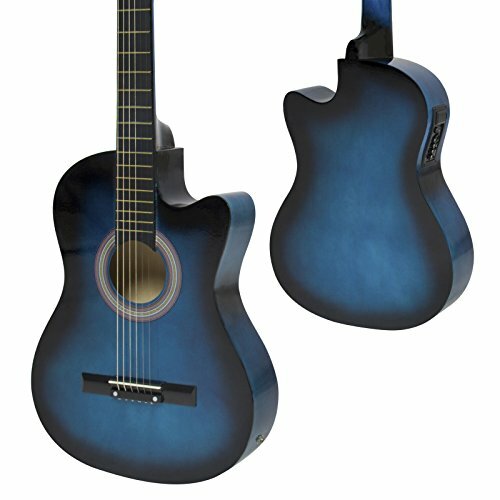 This guitar has an attractive blue finish; it's a complete combo package that comes, extra set strings and a tuner. You'll be playing your favorite tunes in no time with practice and dedication. You get the best quality for your money.